When considering upgrades at any cost to a home, it’s important to choose ones that add value to your home. A recent article in Forbes magazine suggests that unnecessary improvements are one of the biggest mistakes that homeowners make. But what buyers are looking for, which determines what they’ll pay, depends on where you live and the easiest way to seek this kind of advice is by tapping the knowledge of a local realtor. We pulled data from popular home sites and spoke to Michelle Silverman, a La Jolla resident and local real estate agent, about what today’s San Diego buyer is looking for in an outdoor living space and they types of upgrades homeowner can make to add value to your home. This information is important for those who aren’t in their forever home, but is also applicable to homeowners who aren’t keen to move as these changes can also change how people perceive your home for the better. Patchy, discolored lawns are an eyesore but relatively easy to fix. If you’re the one responsible for upkeep, hire a lawn service company to mow and fertilize properly. 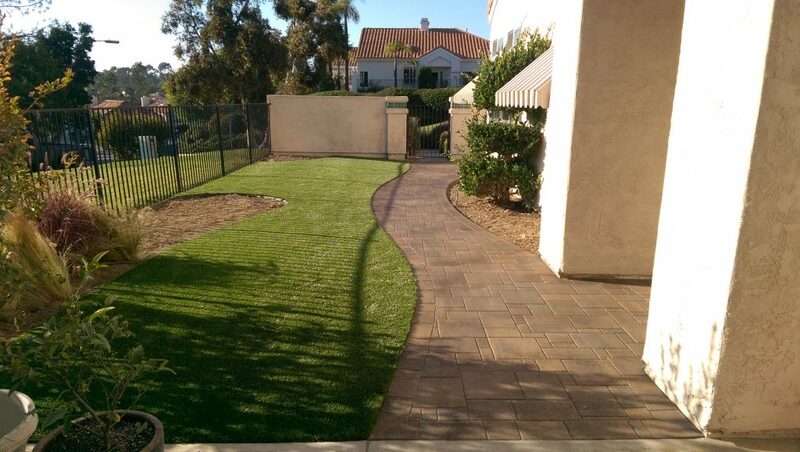 Seed or fill in holes with new sod, but if the problem is severe consider lawn replacement with water-wise plants or artificial grass. 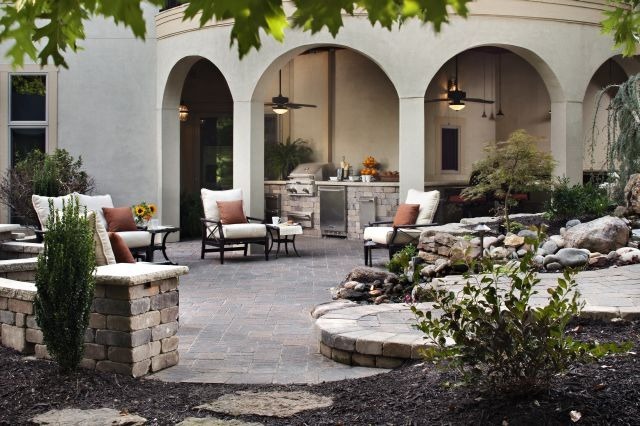 “Fresh paint along fences or on a trellis does wonders for the outdoor space,” Michelle says. And, it’s something that homeowners on a restricted budget can easily do. Fresh, colorful flowers in containers or in the garden can also make a huge difference. A fresh coat of paint added tired wooden patio furniture also helps. Keep in mind that adding color to your yard can also be achieved by swapping out old decorative outdoor pillows, the addition of a rug, more container plants and use of other decorative accessories in a tasteful manner. 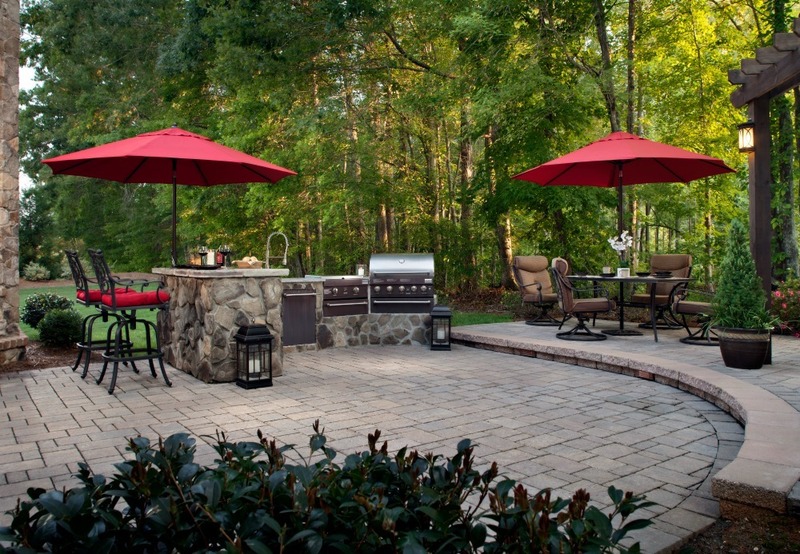 Those who need or want to do this quickly can consider prefabricated modular outdoor living and kitchen pieces that fit together based on the configuration a homeowner desires. These can be installed in as little as one day. Tasteful play equipment can be a dream for potential homeowner with kids of a similar age. However, its presence limits buyers to a very specific demographic. If showing your house, keep it orderly or consider removing it altogether. “Some homeowners create sandboxes for children right in the middle of the yard, which can be more of an obstacle than an attraction,” Michelle says. 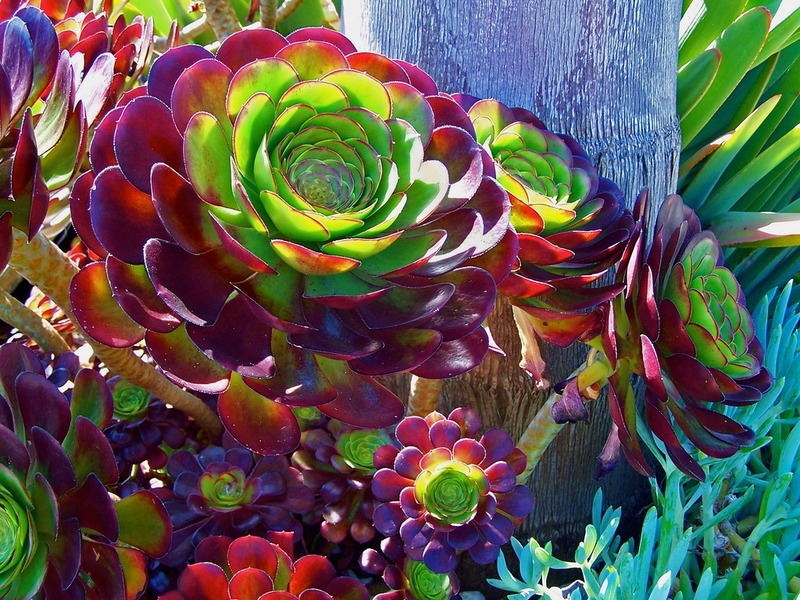 A quick stroll around a neighborhood in La Jolla like Bird Rock or the Palisades area showcases a transition toward low maintenance, water-wise gardens decorated with succulents. Residents are transitioning out grass mow strips for ones that require very little irrigation and actually add more curb appeal. Even low maintenance gardens with mostly succulents and native plants, are often accompanied by smaller themed gardens. Michelle adds that organic vegetable gardens are trending locally as are serenity gardens, fairy gardens and rock gardens. First impressions can make or break a deal. A clean, uncluttered front yard can instantly alter someone’s perception for the better and is why so many homeowners associations regulate what member residents can do to front landscaping. Trimmed hedges, shaped trees, and a debris-free scene are a great way to start, in addition to tidying up the lawn as mentioned above. Curb appeal also applies to changes around the exterior of the home. A recent survey by Remodeling also suggests that replacing an old garage door with one that is mid-range in price as well as adding a durable steel front door, prove to yield high return on investment in the Pacific region. 4. Add new mulch and trendy succulents to your flower beds. 5. Add a new doormat. 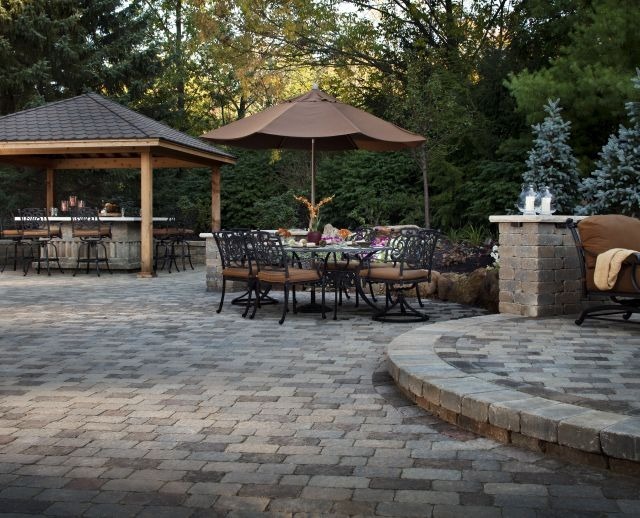 In line with the outdoor living trend that his hot in Southern California, expanding usable living space in the form of decking or hardscape (we suggest pavers as one of the best choices) is another improvement that is likely to add home value. It is still important to keep some decorative green space, which you can fill with easy-care succulents. Interestingly enough, healthy and well-maintained trees can also add value to your home as well as to neighboring houses. If properly placed, it’s estimated that shade trees can save a few hundred dollars a year in energy costs. But, check to see if your homeowners association or architectural committee has restrictions on the type or height of trees allowed. There are actually tree benefit calculators online that can help you estimate the value they may provide you based on zip code. And, this is also assuming that you’re not planting pricey mature trees. Michelle says that water features like ornamental ponds, fountains and whimsical sculptures (in moderation) are also very popular with buyers at the moment who want the feel of an outdoor oasis. Those who are concerned about the California drought can rest assured that by repurposing water from inside the house and with recirculating pumps, water features can be environmentally sensitive. 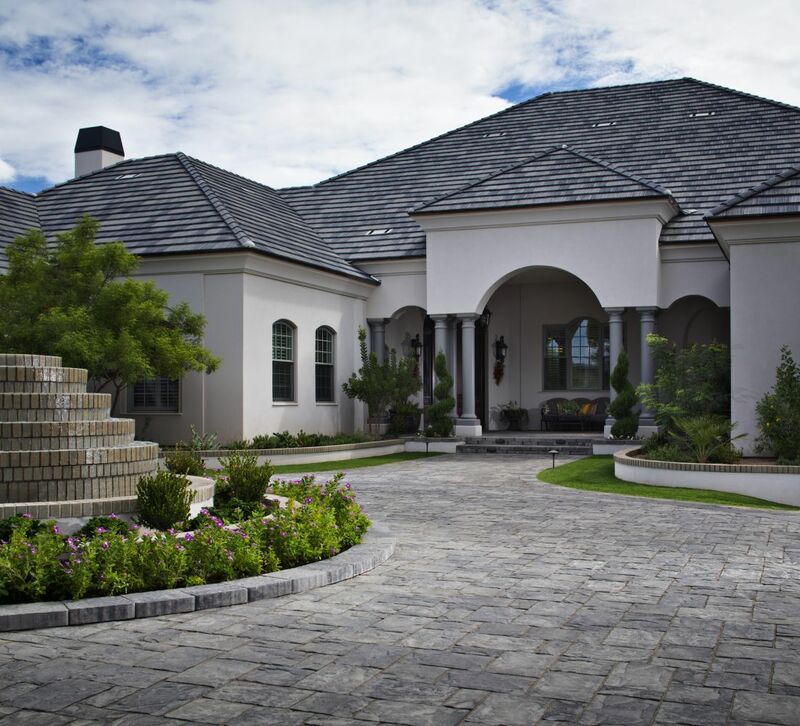 What kind of improvements have you made with an eye toward increasing the value of your home?